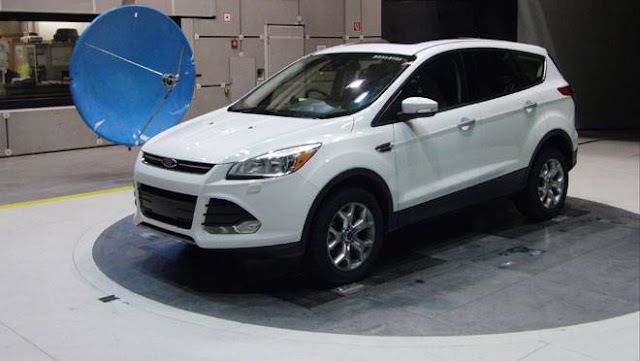 The new Ford Escape has arrived in Nigeria, offering the most technologically advanced features in the compact sport utility vehicles segment. As preference for SUVs continues to grow around the world, so does the demand for greater choice. Ford has responded to customer demand with a broad line-up that includes Trend and Titanium models. Depending on the market, a front-wheel drive model is available with a six-speed manual gearbox or the option of an all-wheel drive model with a six-speed automatic transmission.The new Escape features Ford’s latest design language for a bold, smart look that is shared with other Ford SUVs. Its large upper trapezoidal grille and a smaller lower grille are flanked by sleek new headlamps incorporating optional daytime running lights complemented by functional, stylish fog lamps. Restyled taillights complete the smart exterior look as well as a new range of standard 17-inch wheels (steel on the S) or optional 18- and 19-inch alloy wheel designs are available. 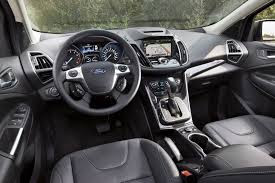 Steeped in SUV expertise from around the Ford world, the new Escape designers’ objective was to combine stylish form with everyday function for the interior of the SUV. Escape drivers will find an array of new convenience features making the vehicle very user-friendly, including ISOFIX anchorage points and improved storage in the centre console. An impressive range of additional standard items are included on the top-spec Titanium model, such as rear tray tables and rear air vents for enhanced comfort and the electronic parking brake (optional on S and SE).The new Escape looks compact but large.